Star Wars: The Last Jedi is about to rock your world. As Rey and Luke take the fight to the Sith Order as a final offensive, it is the last man standing that will take over the Galaxy. Star Wars has been a cultural phenomenon like none other. People literally worship it. But faith blinds all. Just like these glaring and shocking plot holes that no one seemed to have noticed. Han Solo is captured by the Empire and brought to incarceration. He is handcuffed and frozen in a block of an ice looking substance called Carbonite. But as he is unfrozen, his hands are no longer tied. Not only that, his shirt color has changed after his body is thawed out. Abra Kadabra anyone? 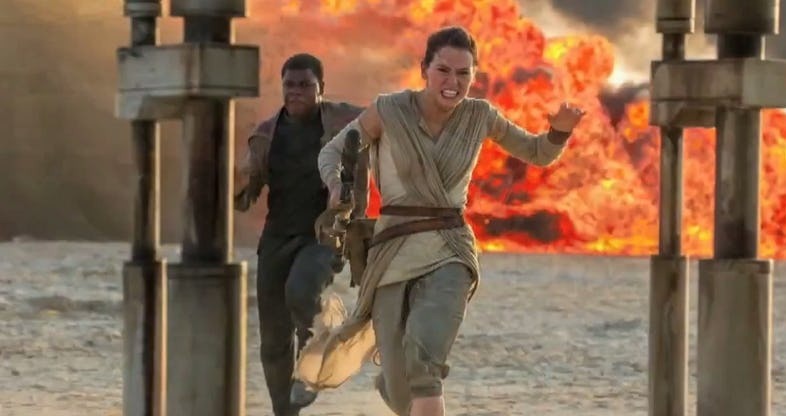 In The Force Awakens, Rey and Finn are chased around by Empire starfighters as they discover and make their way to the Millennium Falcon. Rey and Finn are seen boarding the ship from the right deck of the ship but somehow the next scene shows them coming from the left. The Force has given them teleportation powers!! 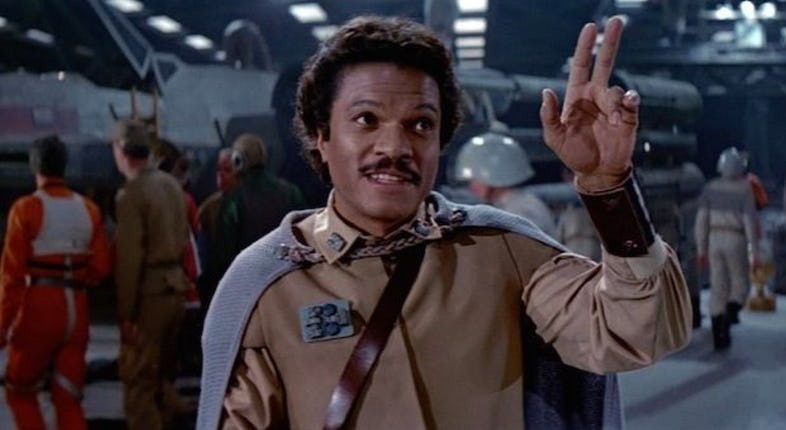 In the movie, Lando is a friend of Han’s that sells him out to the Empire goonies. 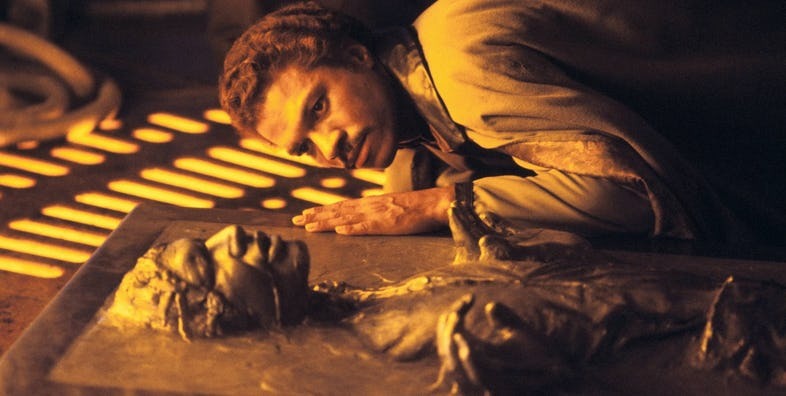 But at the end, he has a change of heart and saves Han’s hide from being skinned. And for that, the Republic adorns him with a Uniform and several badges of honor. The only problem is the badges tend to migrate from left to right and vice verse with each scene. 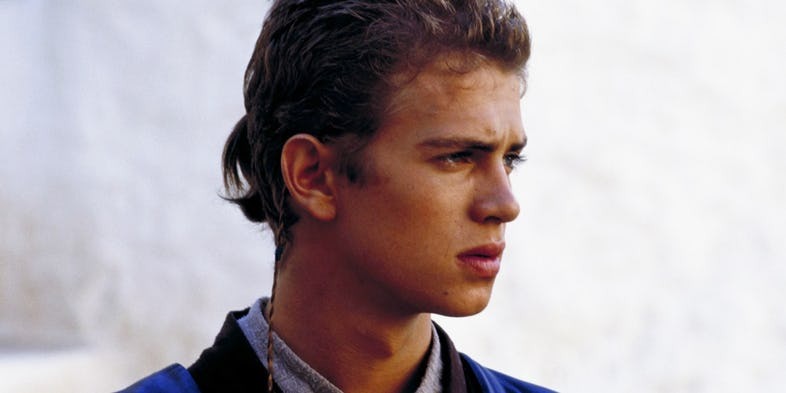 When Uncle Owen searches for Luke in the farmstead, viewers can see a still image of Luke. More precisely, a translucent duplicate caught in the filming process. George Lucas was on a shoestring budget and he let it slide. 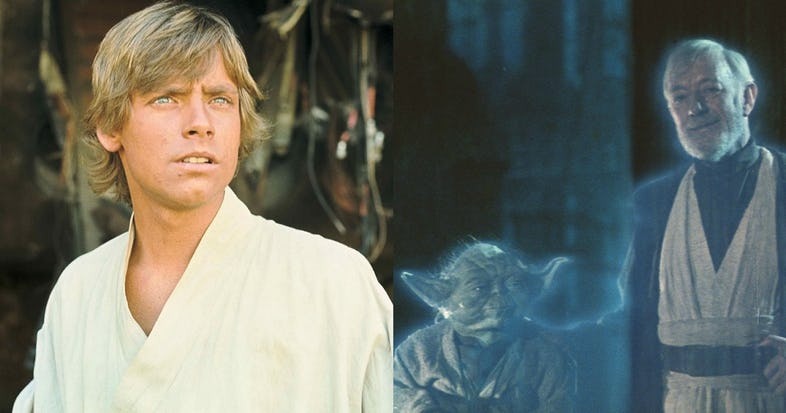 But this Force Ghost appearance has led to a fan theory that Luke was a Force Ghost all along. C-3PO’s and R2-D2’s dynamic is one of the best in the entire franchise. Fans love the two irritating yet cute little robots that helped save the Galaxy. 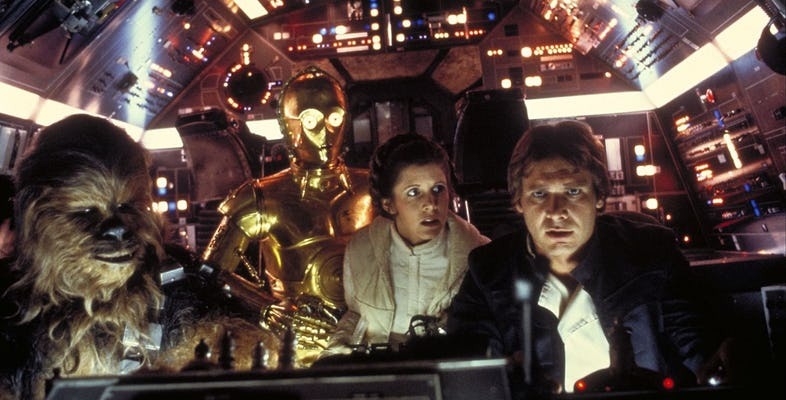 In Empire Strikes Back, Han Solo has had too much of C-3PO’s quirky one-liners and decides to switch him off. Even in sleep mode, C-3PO could be seen breathing. Do robots of the future have lungs? The AT-ATs are formidable weapons of the Empire. They have enough firepower to take out an entire rebel base by themselves. 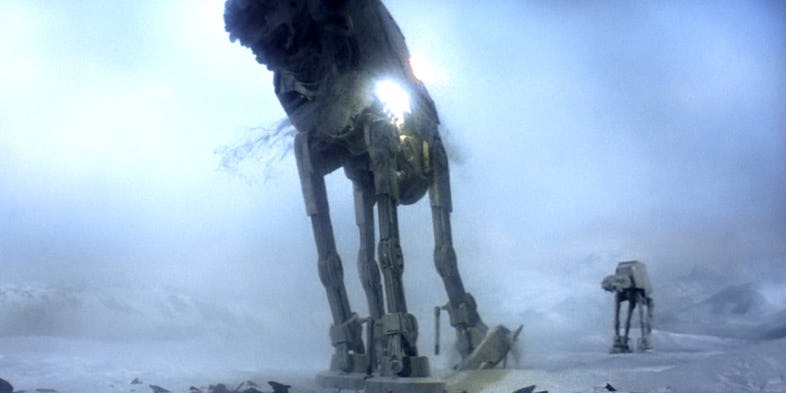 But AT-ATs are not invincible. Luke showed us how vulnerable they were when he toppled one using nothing but a lightsaber and a thermal detonator. The scene also had one more peculiar moment – a stick popping out to push the model into the ground as the thermal charge detonates. The CGI heavy prequel is not exactly something the Star Wars franchise is proud to off. It had its moment to shine but a lot more to be looked down upon. One such instance is the CGI doors in the movie. When the clone factory on the planet Geonosis is half closed, rest of the soldiers duck and pass through while Anakin Skywalker just walks up straight. His upper torso becomes intangible in the scene as fans go boo. Star Wars are as famous as the word lightsaber. When the laser swords of the Jedi Order were first introduced in 1977, they were considered the pinnacle of Hollywood technology. It was just a cleverly used light fitted with reflective tape on three sides. 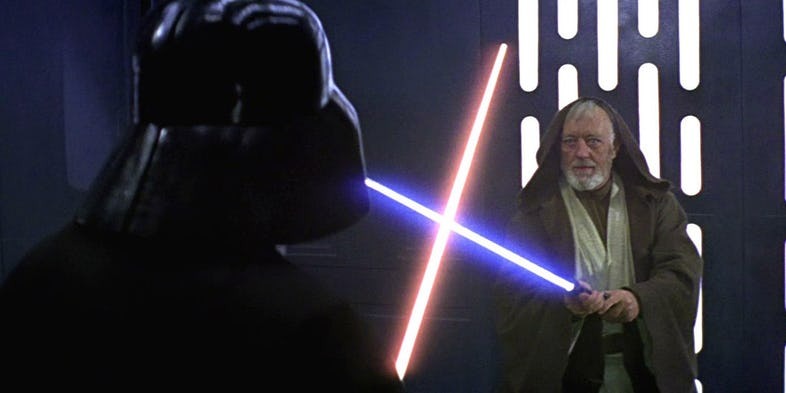 The light has a charging chord which can be seen as Luke unsheathes his saber to fight Darth Vader in the movie climax. Captain Antilles is the guy captaining the starship carrying the blueprints of the infamous Death Star in the movie. 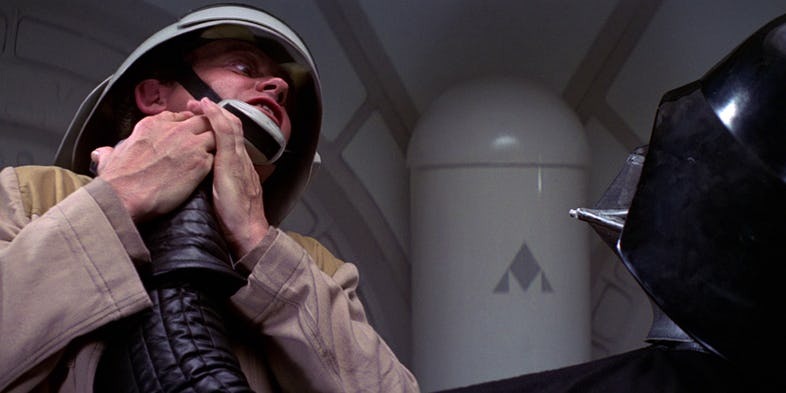 As Darth Vader boards his ship and makes short work of his crew, he grabs the Antilles by the throat and suffocates him to death. He then throws the lifeless corpse to the wall. But right after that the corpse of Antilles suddenly springs back to life as his two hands protect his head as he braces for impact with the wall. Star Wars has a long-standing rivalry with the automatic doors in the movies. 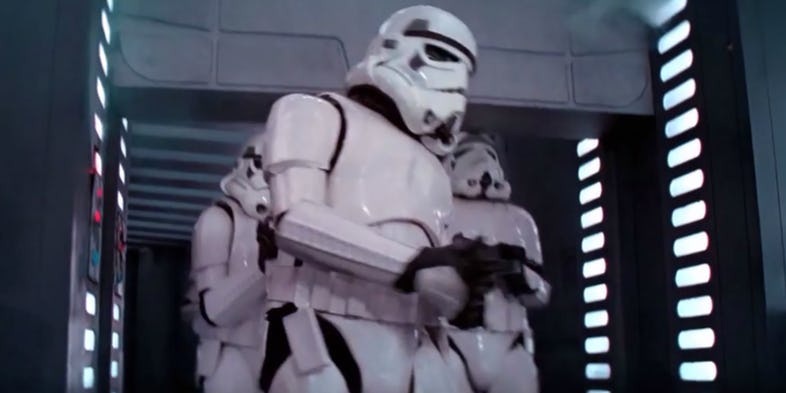 Another such instance is when Luke, Leia, and Han are busy trying to escape the enemy; a group of Storm Troopers enters the room where C-3PO and R2-D2 are hiding. One of the Troopers slips and hits his head on the Door. This mishap became so famous among fans later on that the studio acknowledged it by adding a sound effect to that very scene.